Gorgeous little black strappy dress with puff skirt, which has an overly of white gauze type fabric tattered at the bottom. 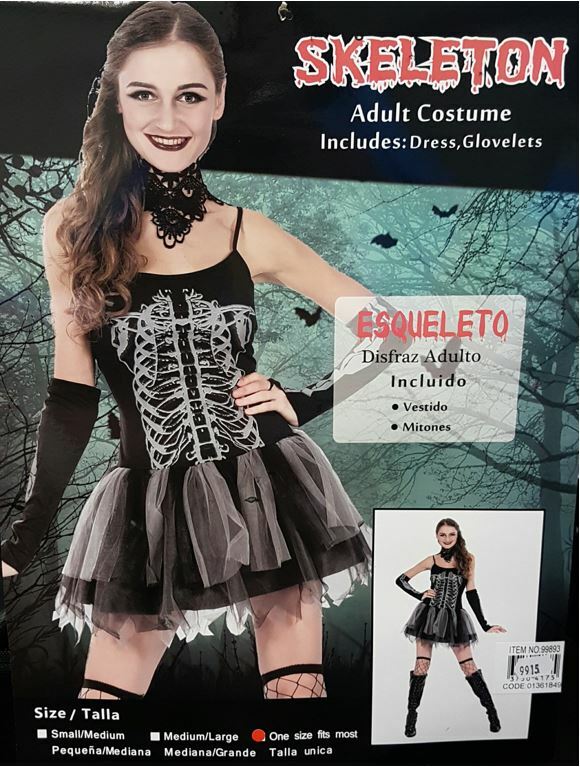 Front of the bodice has a printed skeleton chest. Included are a pair of glovelets which have the same style bone print. Fits up to size 36 bust.